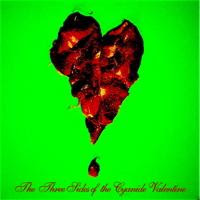 Another band who contacted us, The Cyanide Valentine hail from Boston. They strike a good balance of rock and electronics. They've been compared to bands like Primal Scream and I can see that. They can go from a slow rock track with whispered vocals to thumping electronic grooves and back again rather quickly. I dig it and I think you will too.